If you have resolved to work out more and eat healthier this year, there's a snack that's sure to help keep you energized through the day. No, it's not from a juice bar or the supplements aisle at Whole Foods. 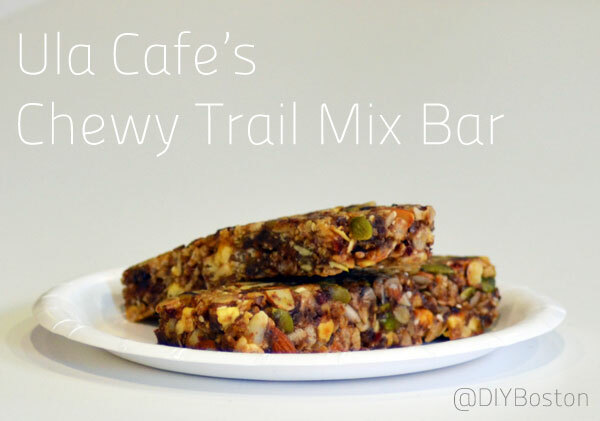 It's the trail mix bar from Ula Cafe. At this award-winning Jamaica Plain neighborhood gem, the coffee is great, the baked goods are delectable, and the sandwiches are inspired. So it's no surprise if even regulars overlook this humble little bar. But if it's energy you're after, look no further than this protein-packed, corn syrup free, and veganish (there's honey) treat. During the development process of the trail mix bar, Ula's Assistant Back-of-House Manager Kelly discovered that most existing recipes call for corn syrup as a binding agent. For a healthier twist, she used ground flax seed and water for an egg-free, corn-free solution that sticks. Jam-packed with seeds and nuts of all types, whip up a batch of chewy trail mix bars for an energizing on the go snack, or stop into Ula Cafe and pick one up! Melt peanut butter with honey in a small pot on the stove. Once melted, add cinnamon, vanilla, and salt. Set aside. Puree dried fruits and nuts in food processor. Leave some fruits and nuts in larger bits as you want. Combine all dry ingredients (nuts, seeds, oats, cereal, dried fruit) in a large bowl. dry ingredients and stir to ensure even coating. Pour into pan lined with parchment paper. Press into pan. To achieve a solid bar, the ingredients must be packed into the pan quite firmly. Refrigerate overnight and cut into desired size bars. 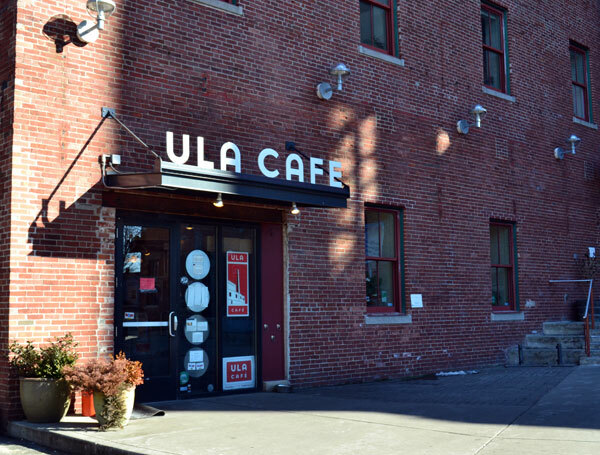 Thanks, Kelly & Ula Cafe! What would you put in your own trail mix bars? Share with us in the comments or tweet us at @DIYBoston!